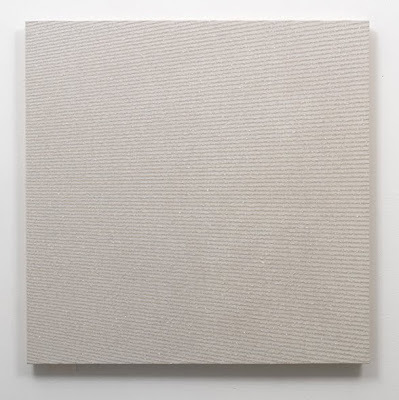 In an earlier post, I objected to the absence of women in “Process/Abstraction,” a group show at Paul Kasmin that mixes younger artists with old-timers like Frank Stella, Andy Warhol, and Kenneth Noland. Why does it matter? 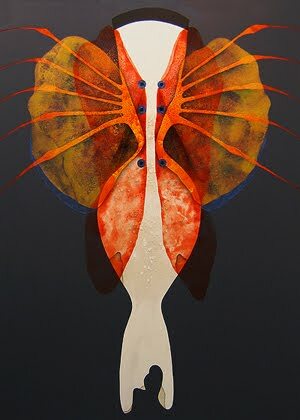 First of all, group exhibitions that lack gender diversity are so rare these days that when one comes along, unless related to the theme of the exhibition, gender exclusivity seems reactionary and out of touch. 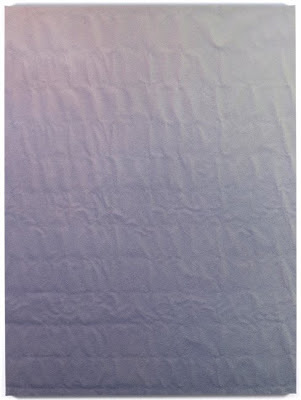 More importantly, when galleries attempt to influence contemporary art history on their artists’ behalf by presenting shows like this, they need to tell a more complete story. Instead of just complaining, I decided put together a list of women whose work the gallery might have thought to include. Of course there are plenty of other candidates, so feel free to add suggestions in the Comments section. Linda Besemer, “Double Wave #1,” 2008, acrylic paint, 60 x 44.” Image courtesy of Angles Gallery in LA. 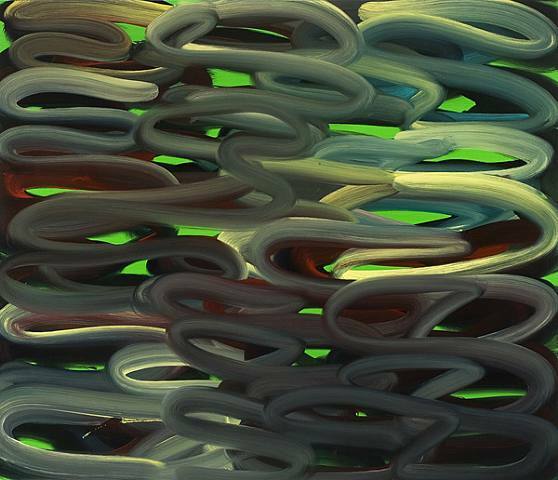 Karin Davie, “Symptomania no 2,” 2007, oil on canvas, 60 x 70.” Image courtesy Wetterling Gallery in Stockholm. 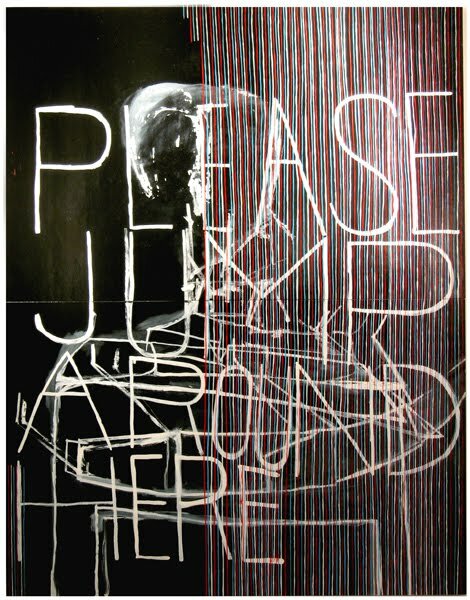 EJ Hauser, “please jump around here,” 2010, oil and enamel on panel, 56″ wide x 72″ high x 1.75″ deep. 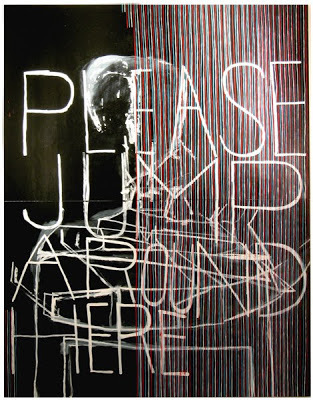 Jacqueline Humphries, “Beat the Devil, 2009, oil on linen, 80 x 87.” Image courtesy Green Naftali, New York. Xylor Jane, “Selfsame,” 2009, oil on panel 41 x 43″ Image courtesy of Canada in New York. Carrie Moyer, “Red Widow,” 2008, acrylic on canvas, 68 X 72.” Image courtesy of Canada, New York. 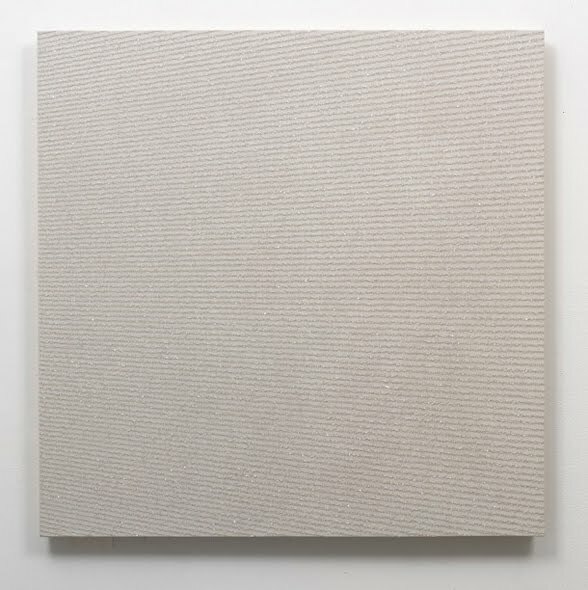 RH Quaytman,”Distracting Distance, Chapter 16,” 2010, silkscreen, diamond dust, gesso on wood, 20 x 20.” Image courtesy Miguel Abreu, New York. 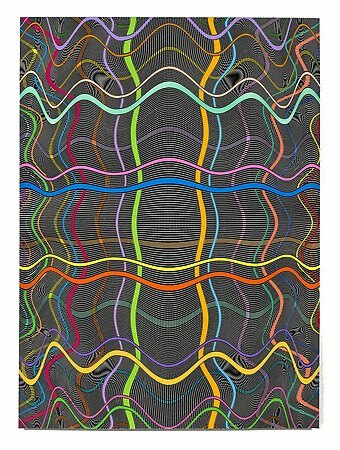 “Process / Abstraction,” Paul Kasmin, New York, NY. Through July 2, 2010. 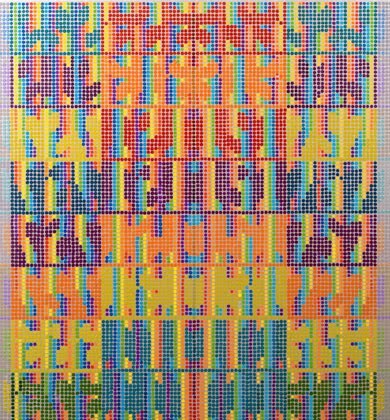 Artists include Walead Beshty, Daniel Buren, Ian Davenport, Simon Hantaï, Nathan Hylden, Morris Louis, James Nares, Kenneth Noland, Zak Prekop, David Ratcliff, Frank Stella, Andy Warhol and Christopher Wool. 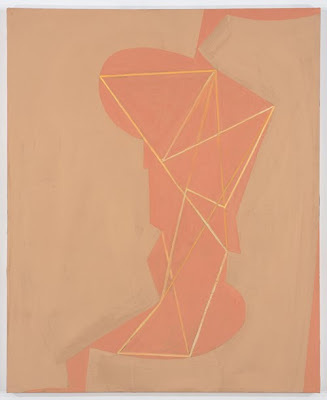 Judy Ledgerwood, Amy Sillman, Charline Von Heyl…..
Hey – great list! I don't know some of these artists (being in the Antipodes) so am very happy that you have introduced me to them. Keep up the slightly feminist stance, too! I can think of lots more – and not all "big" names. Thanks for this! Grace–There ARE plenty more. Feel free to add names and links. 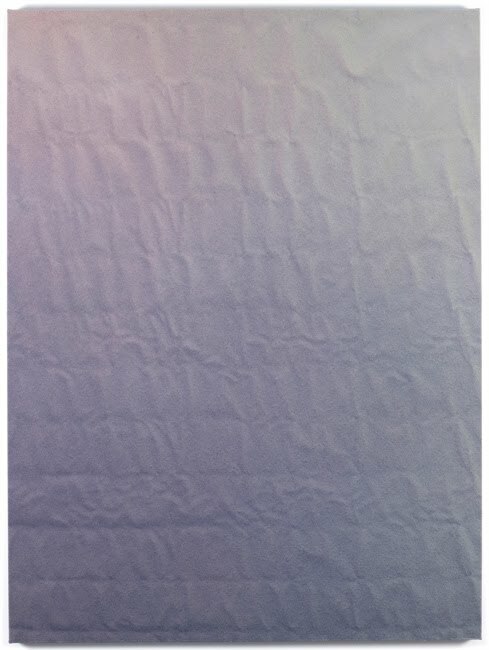 Her work looks like it was made yesterday, or 80 years ago. I don't know how "important" she is (do artists think about her now?) 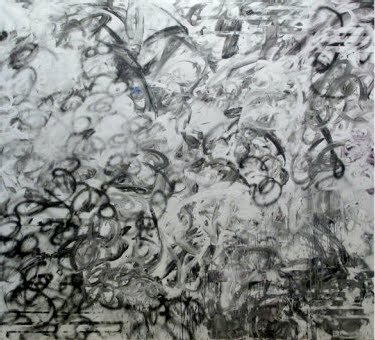 but she was incredibly prescient in the way that she de-dogmatized abstraction. Joanne Greenbaum, rebecca morris, many more but what a stupid thing to have an all male show shame on them. 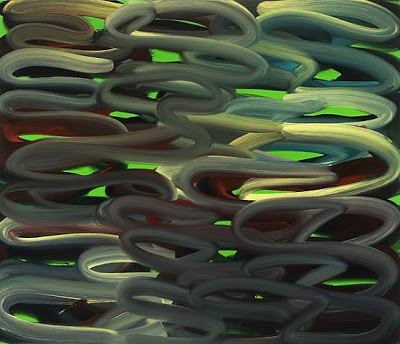 Next Next post: Howard Hodgkin: Getting older is a sort of shorthand. There are a lot of things you know already.